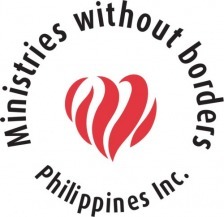 Ministries Without Borders in the Philippines (MWBPI) is part of a worldwide family of ministries and churches working closely together to communicate God’s love and the Gospel of Jesus Christ to all the world. Ministries Without Borders ® is, in itself, a mission statement. It speaks of people who are inwardly free and outwardly mobile to use their gifts, talents and abilities, to take the message of Hope, and the gospel of the kingdom of God, to a needy and dying world. Such people, from every age group, are aware that every mandate given by God can be achieved, and that there are no problems too difficult for His power of miracle. Together we aim to reach beyond the borders of ‘self’ and to reach all with a demonstration of God’s Love, Word and Power. 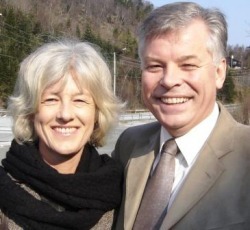 MWBPI has been working in the Philippines since 2004, when Noralv and Tone Askeland were led by God to establish a work here. Since then, the ministries have flourished under their leadership, helping thousands of men, women and children escape the grip of extreme poverty. Many of these people have also found a real and personal faith in Jesus Christ. Gemma Parcia is Deputy Operating Officer of MWBPI and has been in the leadership from the beginning. Today, a staff of more than 20 Filipinos is employed by MWBPI together with volunteers from abroad, each playing a vital role in coordinating efforts amongst the poor.